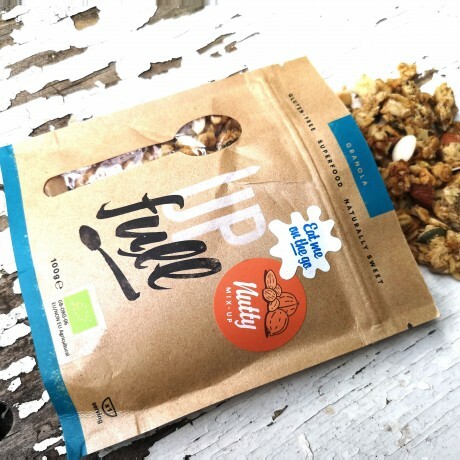 Fresh, hand toasted Organic granola packed with walnuts and almonds for a great tasting nutty mix-up. 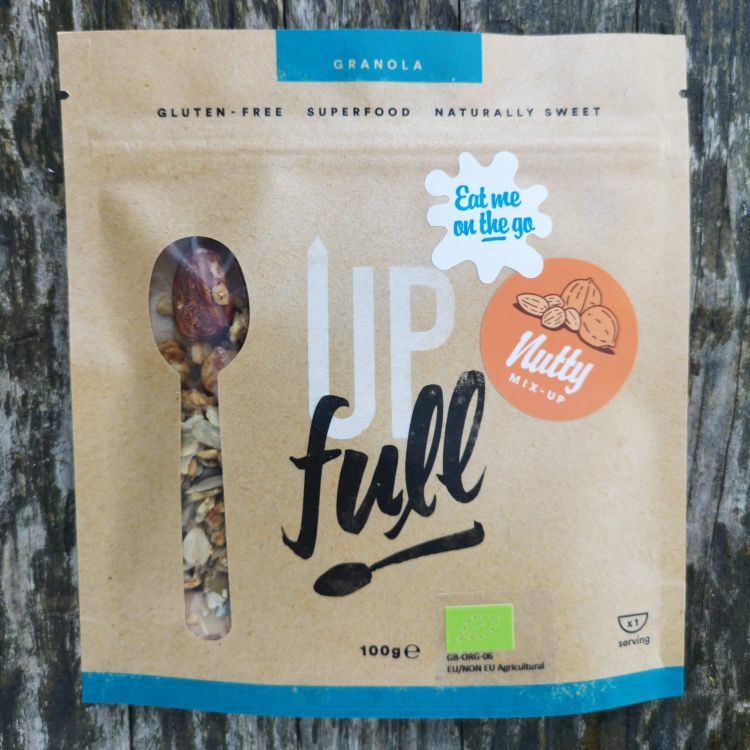 Upfull's granola bags are unique as they are waterproof and resealable and designed to be filled up with milk, yoghurt or a dairy alternative. Perfect to grab and go and for those living a busy lifestyle! 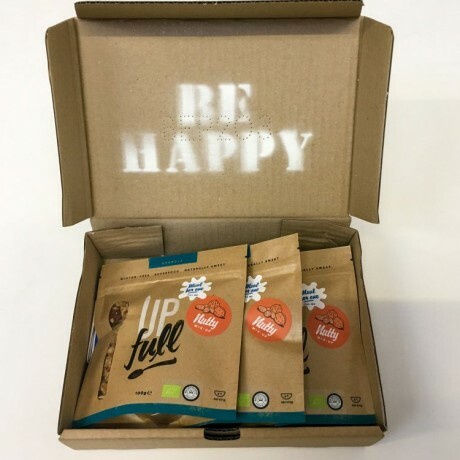 Each pack is filled with Superfood Teff, which is full of iron, protein, manganese, calcium and a large array of vitamins and minerals so is thought to be good for strong bones. 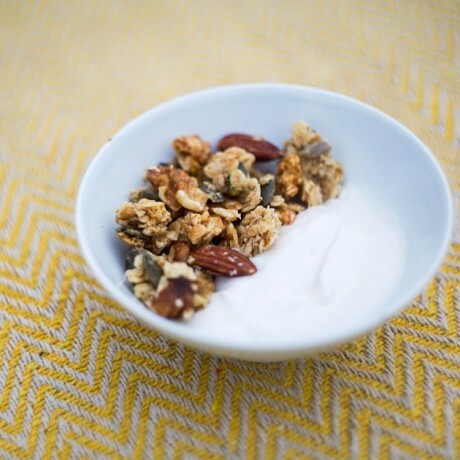 Refined sugar free - instead this granola is sweetened naturally with honey. Available as a taster pack of 4 bags, or stock up and save with a pack of 10 bags. 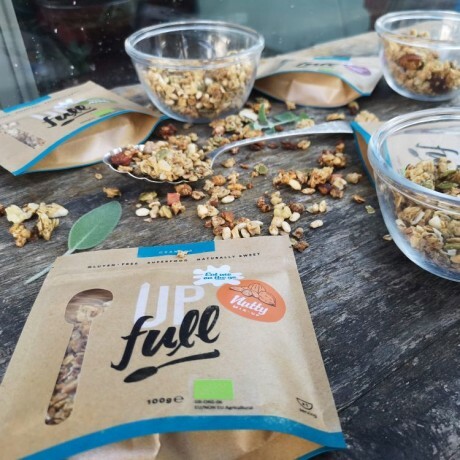 Made using the finest ingredients including Gluten Free Oats, Pumpkin Seeds, Sunflower Seeds, Linseed, Walnuts and Almonds. Upfull are passionate about their ingredients, and give proceeds from their profits to working with fourty rural youth farmers to help improve their output quantity and quality. How to use: simply pour your milk / dairy alternative of choice into the bag & enjoy a delicious crunchy organic meal, full of superfood goodness on the go! Or if you prefer you can just enjoy at home. Gluten-free and handmade in the UK. Allergens shown in bold. Handmade in a kitchen that works with nuts. much enjoyed the varied selection and such a handy size too whilst the packets were so securely sealed. What a wonderful item for breakfast great healthy very authentic apple pie taste but this one is full of fibre and protein and solely natural sweetness - I have eaten this twice in my Super U Coconut shell bowl with almonds and blackberries. I will definitely recommend it and will order again. My 10 year old daughter has Coeliac Disease, so upon discovering and loving your Gluten Free granola, we just had to order some for her. She is getting through the latest batch with great enthusiasm, so expect another order soon. Amazing granola! Each flavour is awesome and super healthy! And I can eat mine on the train to work! This product is dispatched by Upfull. This item has a shipping weight of between 0g and 0g depending on the options selected.